Key safety information for the construction industry including residential building, demolition and infrastructure construction. specialise in trades such as plumbing, electrical, carpentry, painting, plastering, tiling and landscape construction. Detailed information and resources for residential construction. General requirements for construction work. Essential information for demolition work including licensing, when to notify SafeWork and identifying asbestos before work starts. 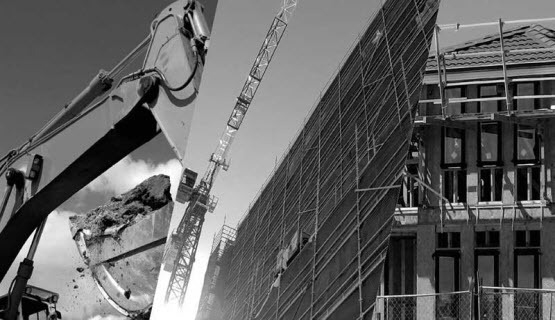 The construction industry is one of NSW’s highest risk industries. Every year, thousands of workers are injured on NSW construction sites – or killed. The work is physically demanding, often performed outdoors, and frequently employs young workers. You need to know what the hazards are in your business so you can assess the risk they pose. Subscribe to industry publications and join your industry group. For developers, architects, builders and others you will find a complete list of industry-related organisations on the Fair Trading NSW website. For workers, the NSW Construction, Forestry, Mining and Energy Union (CFMEU) is the relevant industrial organisation. The specific section of the WHS Regulation 2017 that addresses the construction industry is Chapter 6, Construction work. You u can find a complete breakdown of business operations that fall within the construction industry from the Australian Bureau of Statistics (ABS).